​Welcome to Cholsey Bluebirds Football Club. Founded in 1967, we have been providing fantastic footballing opportunities for young people in our area for over fifty years. We are a fun, fair and friendly family orientated club who believe that while football is of course a competitive sport, winning should never override the values of good sportsmanship, honesty and respect for all - officials, parents, spectators and players. ​Equally important is giving every child the opportunity to improve his/her individual skills as well as to steadily develop a sense and understanding of being part of a "team", which in turn requires taking responsibility and making a commitment as a squad player. 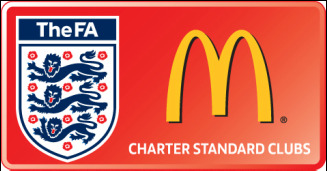 We are an FA Charter Standard Club. All our managers are experienced, CRB checked and have, or are in the process of gaining, their FA Level 1 Coaching Certificate, with some training for their Level 2 Certificate. We are extremely proud of our traditions and not only the fact that a significant number of our present day officers and managers have been with the Club for many years, but that they were themselves Bluebirds' players in their youth - this speaks volumes for the continuity and commitment of everyone associated with our Club. We have teams playing in all age groups from our Rising Stars (under 6) up to Under 16s, and we have a new Under 9s girls team (although, under FA Rules, teams can be mixed up to the age of 14). ​If you have a child who is interested in playing or you would like more information, please contact the relevant manager of his or her age group. Just go to the Contacts: Managers and Our Teams pages on the left menu bar. Our membership form can be downloaded from the BLUEBIRDS DOWNLOADS page or click HERE. Best wishes to all for the 2018/19 season !